What does Russian pharma need to be grow globally? Russian pharmaceutical manufacturing has taken off in recent years, but the industry requires an integrated approach to education, research and production to expand further. Russia moved up to the 51st place in the World Bank's Ease of Doing Business this year — up three places from the 2015 rankings — and we in the pharmaceutical business have begun to see a change for the better. Russian state policies are prioritizing support for local pharmaceutical production, and as a result, Russian pharmaceutical manufacturers have increased their share in the local market. The entire Russian pharmaceutical industry also is becoming more attractive for investment from other sectors as the focus shifts from producing ready-to-use dosage forms to research and development. 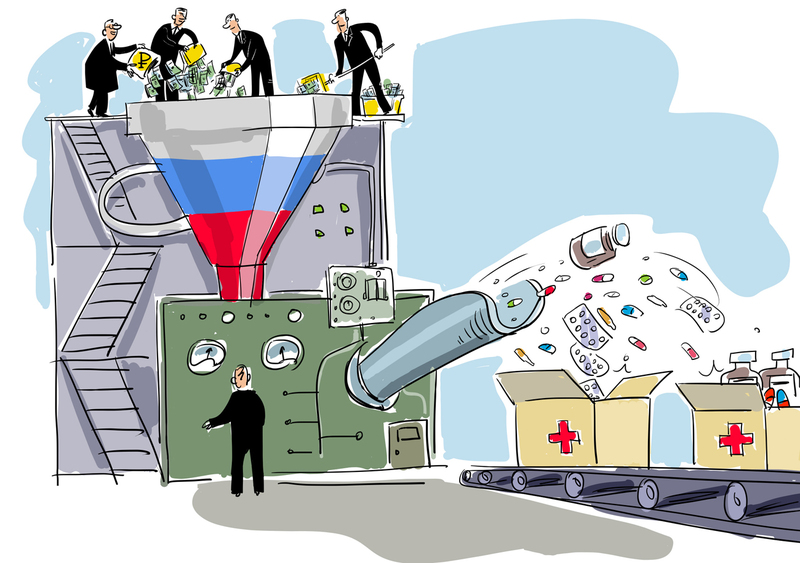 In addition, Russian pharmaceutical companies are gaining more and more access to foreign markets. Today, the global pharmaceutical market is showing certain key trends. An important one is the relatively large growth in the global production of active pharmaceutical ingredients (API). In 2011, the API production volume was estimated at $109 billion. It rose to $150 billion in 2015, and is projected to exceed $ 200 billion by 2020. This growth is boosted by a steady and continued demand for medicines in the mature North American and European markets and the potential represented by unmet needs in the developing markets. The API production for cancer medicines is the fastest-growing segment of the pharmaceutical industry. Another important factor is that the patents of many important medicines have expired in recent years, allowing other companies to produce these drugs. In the end, technological advancement brings down the cost of developing high-tech medicines, opening them for mass production. Tapping into these trends needs an integrated approach that takes a variety of areas — education, fundamental and applied studies, research institutes, small and medium-sized innovative companies and venture investors — and focuses them on a common goal. The largest API manufacturers in developed countries are normally the major players in the global pharmaceutical market. The type and location of production infrastructure is determined by technological factors. If the production process requires a high level of staff control and qualification at all stages, the infrastructure is centralized at a full-cycle manufacturing complex within the country. This is a typical situation with innovative biotech drugs. In other cases, especially those involving large volume production and high environmental risk factors, the manufacturing facilities are transferred to a site abroad. Can a Russian pharmaceutical company become one of those global industry leaders? Feasibility and economic viability are of utmost importance in the large-volume production of APIs, which are now largely provided by market players from India and China. So, Russian companies must decide whether there any point in owning a production line for a product with an annual consumption of 35-50 tons, while a major Chinese manufacturer makes 75,000 tons of this product per year. Owning a production line would require competent management and a robust business plan covering both the local market and export activities. It will also necessitate following the trend towards environmentally friendly API production. Pharmaceutical ingredients are still largely imported for Russia's domestic pharmaceutical production, a situation that hampers further development of the local industry. At the same time, there are already about 30 domestic API manufacturers. My company, R-Pharm, has a good list of successful full-cycle localization cases and is working on a separate project on the synthesis of pharmaceutical ingredients. When more domestic innovative products become available, Russian companies may well organize their production within the country, taking an important step towards the integration so vital to becoming a large player in the global market. Vasily Ignatiev is the CEO of the R-Pharm group of companies.